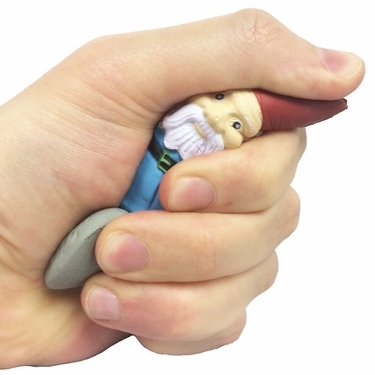 Bite sized, fun and flexible, we're thrilled to offer these new Travelocity Gnome Stress Relievers! If you're looking for how to deal with stress, and need a fun silly stress ball item on your desk that you can tackle, you'll enjoy our new soft and durable travelocity gnomes! Like our popular 4" resin version, these two can travel well and fit into any space and weigh literally near nothing. A perfect stocking stuffer, give-away gift, or simply something fun to play with. Throw him, smush him, step on him, hug him, squeeze him, he can take it without any problems! Durable for all types of weather and physical torment. Officially licensed design through Travelocity, made of polyurethane. Sold in a Set of 4, but Save more with our tiered pricing at 8 or 12 units!